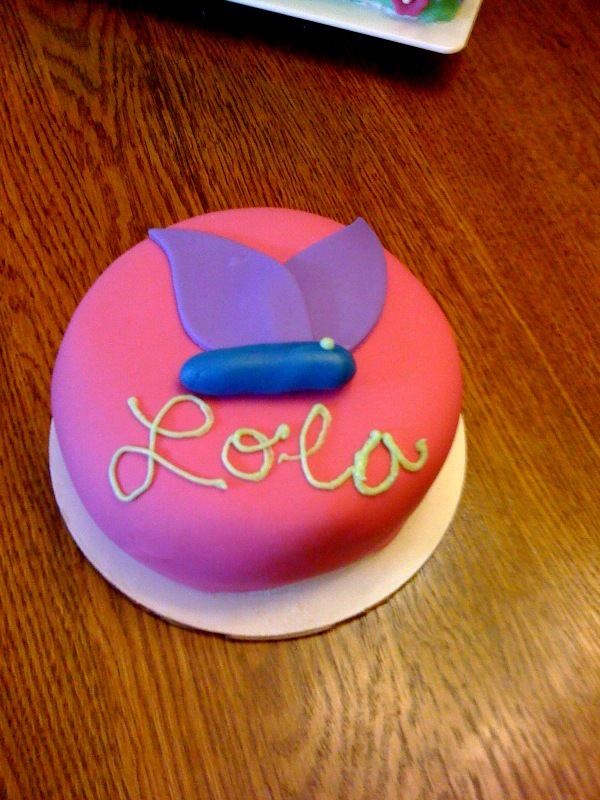 A former coworker asked me to do a cake for her daughter Lola’s 1st birthday. 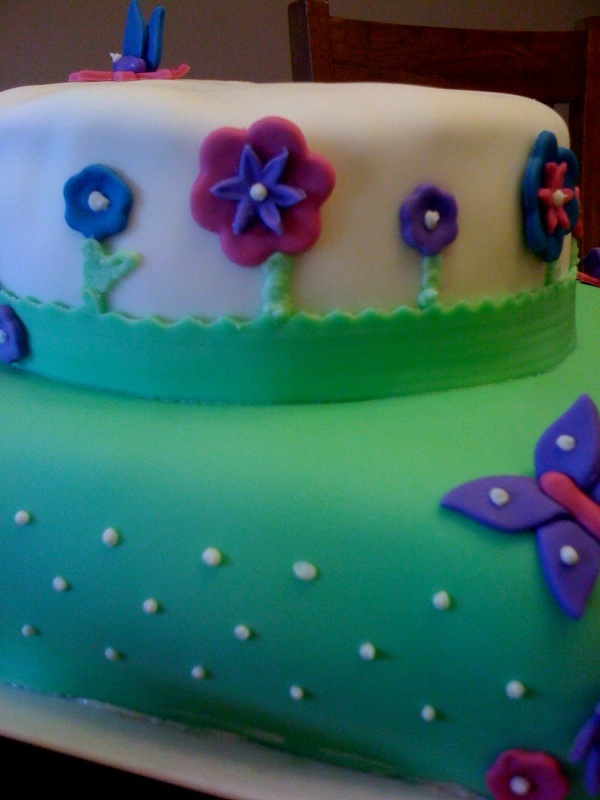 We decided on a square base for the cake, and a round layer on top, decorated with flowers and butterflies. 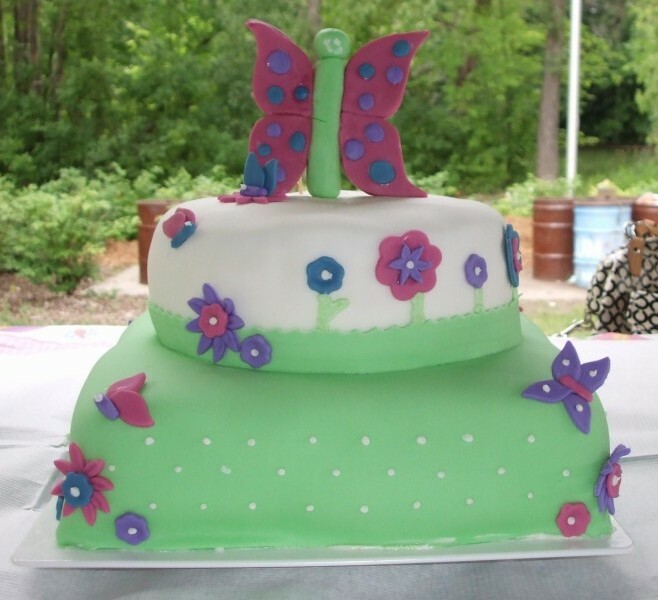 The bottom is 10 inches and the top layer is 8 inches; this cake would serve 40 people. 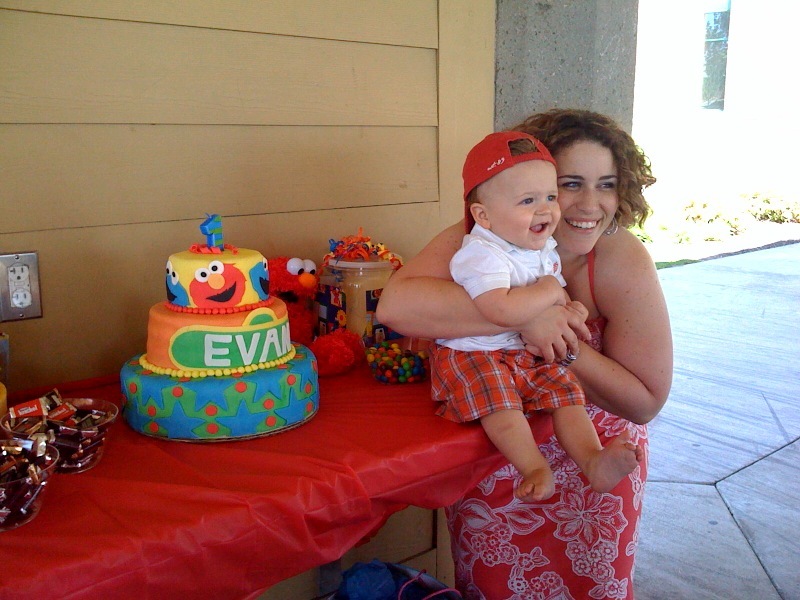 You can see how Lola liked her cake on the blog Bemidji Baby.